General Motors (GM) has been into assembling Chevrolet cars, trucks and buses in India from as early as 1928 but due to some reason, in 1954 it had to cease its assembly operations. However, General Motors still continued its association with India by tie-ups with Hindustan Motors in building trucks, Vauxhall cars and off-road equipments. General Motors is known world over for its best in class automobiles, and it has maintained its image in India with its Chevrolet brand. General Motors launched its Chevrolet Cruze car in India during October 2009. After the success of this model, it has been rumoured that the company launching a facelift version of Chevrolet Cruze for the Indian car market by sometime next year. General Motors has launched the same version as in America 2 years back, with the only difference being that it was launched in India with a diesel engine rather than petrol variant. There were many speculations of Chevrolet Cruze being accepted by Indian car market but somehow it managed to attract unbelievable number of customers for this D segment version. If we check the sales numbers, Chevrolet Cruze has somehow survived against the rival car brands such as Toyota Corolla, Skoda Laura and Volkswagen Jetta. The New Chevrolet Cruze Price should be a little more than its current model, which is between 12 lakhs and 14 lakhs. There are not many changes to the looks of New Chevrolet Cruze, but the changes can be noticed. The changes include fog lamps which has been given a more classic look. As its previous model, the New Chevrolet Cruze offers a much needed peaceful drive even on the more busy roads and is ideal for city and highway driving. 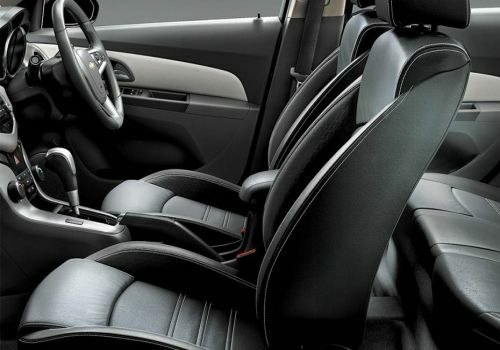 The New Chevrolet Cruze interiors have a two tone colour scheme to match the royalty of its exteriors. The interiors are spacious which provides much space for comfortably seating five passengers. There is lots of luggage space as well. 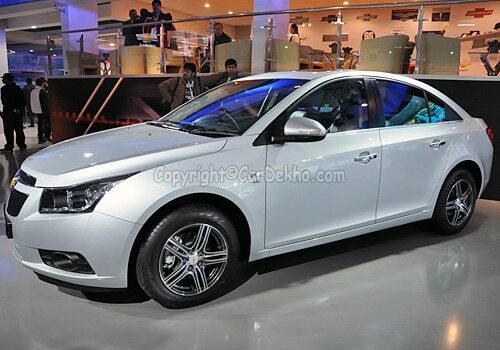 The New Chevrolet Cruze Price should be a little more than its current model, which is between 12 lakhs and 14 lakhs. It has been speculated that New Chevrolet Cruze would continue with diesel engine. However, the car is powered with a new 2.0 Litre Z-series engine that can produce a whopping power of 163 Bhp and 350 Nm of torque. It is likely that with the upgrades to the Chevrolet Cruze model, GM would be increasing its price. Chevrolet has been successfully selling its Chevrolet Beat and Chevrolet Spark models.